We have furniture removal trucks that cover all of Australia. With a fleet of trucks always on the move, backloading home and office furniture from state to state and city to city. The Backloading Company are ready to help with any home or office furniture backload, cheap interstate quotes three hundred and sixty five days a year. We are the go to backloading specialists. Servicing Queensland, New South Wales, Western Australia, Victoria, Australian Capital Territory, Northern Territory, Tasmania and more. Request a free backloading quote today! Providing you with an affordable and reliable moving service with any returning truck. Specialising in interstate furniture BACKLOADS large or small. Our backloading removalists are trained, experienced and qualified in all states. With a minimum of two years experience handling furniture goods. We train our removalists to pack, wrap and stack furniture to ensure a safe and secure transportation of goods. Get in early to book your interstate backload on one of many interstate removal trucks today! Our long-distance backloading quotes are affordable and reliable! Backloads to all states all the time using experienced trained removalists. The Backloading Company have interstate moving experts that take care of all the hard stuff. Interstate furniture backloads with everything included. A door to door moving service with pickup and delivery will save you time and dollars! Affordable and cheap backloads available 365 days a year. The Backloading Company have operated for over two decades. Providing affordable interstate moving services for home or office furniture and goods. With over thirty five thousand customers moved interstate throughout Australia. The Backloading Company strive to be an affordable and reliable moving service with real results. The Trucks are 100% insured for transit insurance. Insured for complete and major damage including fire, theft, overturning and more... Call us today for more information. The Backloading Company are here to help! With backloading services to and from Queensland, New South Wales, Victoria, South Australia, Northern Territory, Australian Capital Territory, Western Australia, Tasmania and more… moving Home or office furniture is what we specialise in. Getting you're home furniture moved from point A to point B. A reliable moving service that understands the daunting process of moving home or office furniture long distances. Interstate furniture backloads of all kinds. The Backloading Company use professionally trained removalists that know how to handle furniture goods of all shapes and sizes. Request a free back loading quote today. Removal services throughout Australia for home or office furniture and goods. The most affordable way to move interstate is to get a backload. Moving home and office furniture throughout Australia daily. Reliable interstate furniture removals using experienced and trained furniture handlers. Dedicated interstate moving services for home or office furniture and goods. For more information about our cheap backloads. Contact our office today or request a free quote through the website. You can also visit out facebook page below. The Backloading Company also move furniture outside of the areas mentioned. including many country towns/areas. Such as Central and Northern Queensland. Far West, Central West and Orana, Hunter, Murray, New England and North West New South Wales backloads. As well as the South East and the Tablands. South Australia including Adelaide Hils, Baroosa, Clare Valley and many more. We are a dedicated backloading removal Company providing backloads throughout every state within Australia. To receive a FREE BACKLOADING QUOTE for transporting your goods from any location within Australia, simply complete the Quote Form and we will respond within 24hrs with a free non-obligatory quote. Adelaide to Sydney and Sydney to Adelaide backloads is more frequent and more competitive than ever. Get interstate backloads to Adelaide in South Australia and Sydney in New South Wales from Adelaide every week. Free backloading quotes available for any home or office furniture from South Australia to New South Wales and New South Wales to South Australia. Weekly truck are currently available. Ever thought about moving to beautiful Northern Queensland? Why not inquire about our cost effective weekly Cairns backload? Interstate removalist services that count. We will provide affordable interstate furniture backloading removal quotes to North Qeensland every week. Offering short to long term storage services to help with your move. We have storage facilities located in Brisbane and Melbourne, these facilites are not freely accessible by the public to ensure they are kept safe and secure. 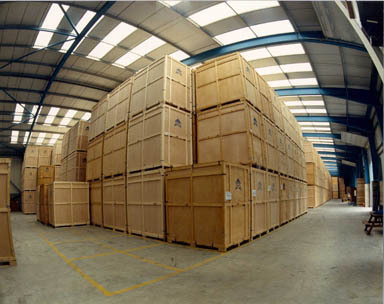 Our Storage facilites are designed to help us help you when moving. Allowing time to get organised and plan for a better outcome! Inquire today for our bargain storage prices. To find out about our backloading removalist insurance please call our office today. Affordable removal services are easy when you consider hiring The Backloading Company to handle the job. Backloads of all shapes and sizes from all major towns and cities around Australia. Inquire today to ensure you get your preferred moving dates. The Backloading Company know how to move home and office furniture. Getting home furniture moved throughout Australia, Australia wide. 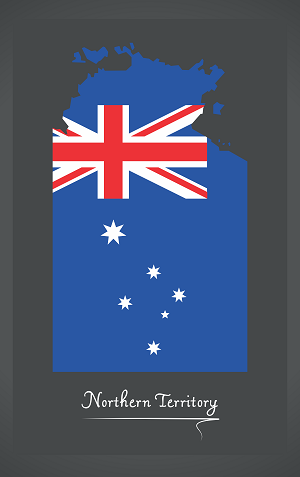 Office furniture moved interstate across every state within Australia. Our aim is to provide a cost-effective removal services for home and business furniture and goods. Having a fleet of trucks always on the move, traveling through Northern Territory, Queensland, New South Wales, Victoria, Australian Capital Territory, Tasmania, South Australia and Western Australia. Providing interstate backloading removal services for everyone! To get a cheap backload today. Contact us or request a free quote through the website. Apart from backloading services to all major regions of New South Wales, such as Sydney and Newcastle. Other backloading locations include. Apart from backloading services to all major regions of Queensland, such as Brisbane and Cairns. Other backloading locations include. Apart from backloading services the all major regions of Victoria, such as Melbourne and Ballarat. Other backloading locations include. 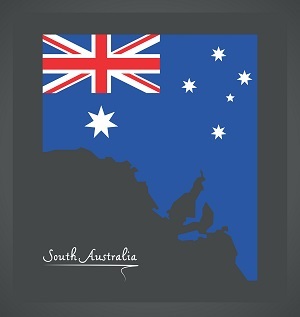 Apart from backloading services the all major regions of South Australia, such as Adelaide and Mount Gambier. Other backloading locations include. If you are looking for an affordable way to move interstate. Then let us guide you through the processes and explain a little about what an affordable moving company like The Backloading Company have to offer. Get a backload quote by The Backloading Company today. We will provide you with a backload quotes within 24 hours. Providing cost effective interstate moving quotes for home or office furniture. Using experienced and trained removalists that know how to handle furniture items. Our backloading quotes are among the best out there. When considering a backload quote, contact The Backloading Company by either submitting a backload quote through the website or call the number provided at the top of this page. Backloading in the most inexpensive way to move long distances while still maintaining the quality of an interstate removalist service. Experienced and trained removalists will handle all your furniture and goods from the pickup locations to the delivery location. Doing an interstate backload still means your furniture and goods are handled with the upmost care. Packing, wrapping and stacking correctly is essential in maintaining a quality interstate backloading service. The only difference is the load will be shared with other loads needing to be move interstate or long distances in the same direction as your move. The Backloading Company are expert furniture movers. Expertise that spans more than two decades. Dedicated to providing their customers with the most cost-effective long-distance moving service, but not shy on quality. Using experienced interstate removalists. The Backloading Company will guarantee a next to perfect moving experience. Quality home and office packing, dismantling and assembling of furniture and goods. Over 30,000 customers have been moved using a backload throughout Australia. These include home furniture backloads and corporate, business backloading services. The Backloading Company have created a name using the expertise of industry knowledge and standards for moving large amounts of furniture throughout Australia. These are some regular backloading service locations for home and office backloads. Weekly and Monthly. So what's Backloading all about? Depending on which state you are moving to will determine how The Backloading Company will help. With both dedicated interstate removals and backloading services. A backload offers you a proven cost effective interstate removal service when for all returning trucks transporting just a few items or complete households of furniture. We also backload compnay freight at affordable prices. We can assist with car transportation and speciality items. Backloading although a cost-effective alternative to a dedicated removal service, does not guarantee uplift and delivery dates. Being a part of a backload removal involves your goods being placed onto a truck that is also carrying other booked jobs. This means you are only paying for the space taken by your goods on a backloading truck and the distance your furniture and goods will travel. 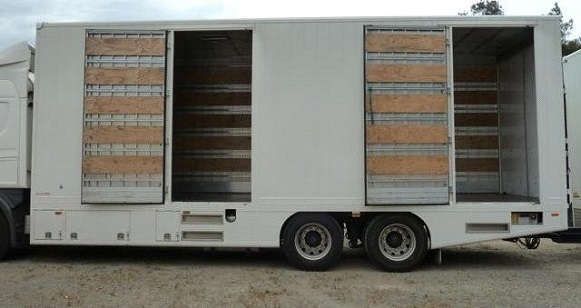 You are not paying to book the entire truck and or trailer when you only require a small portion of space on a truck. Backloading provide you with the best removal price and it is as simple as requesting a backload through The Backloading Company. You only pay for space your goods require on a truck and the distance your precious goods need to travel. It also helps us fill the truck. There are plenty of removal companies to choose from but The Backloading Company have the experience which exceeds two decades years. 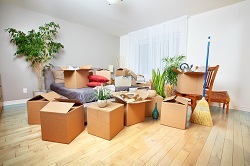 Our backloading removalists are experienced and trained to handle all types of furniture. They will pack, wrap and stack your furniture goods on a truck for a safe and secure transportation of goods. The Backloading Company know how to move. Getting home furniture moved Australia wide. 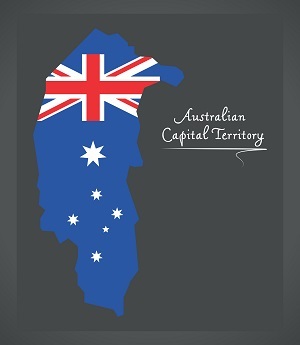 Office furniture moved across every state within Australia. Our aim is to provide a cost-effective removal solutions for home and business. Having a fleet of trucks always on the move, traveling through Northern Territory, Queensland, New South Wales, Victoria, Australian Capital Territory, Tasmania, South Australia and Western Australia. Providing interstate backloading removals for everyone! Removals Insurance Australia Insure your goods whilst being packed, moved and in storage with a CARTS Removals and Storage Insurance policy! It is simply the best way to ensure your goods are safe and secured as part of any intertate backloading service. When it comes to interstate furniture removals or interstate office furniture backloads. 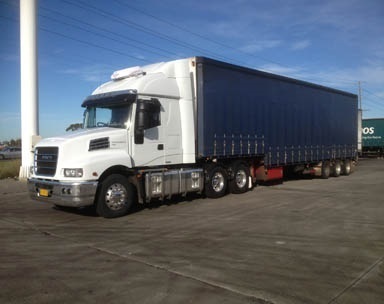 For over two decades The Backloading Company have been relocating businesses and residents through Queensland, New South Wales, Victoria, Northern Territory, South Australia, Australian Capital Territory, Western Australia and beyond. Specialising in furniture backloading removals using qualified and trained furniture handlers to ensure a safe and secure transportation of goods. The Backloading Company will also assist with speciality items such as motor bikes, small boats and other items that you may need moved. It is important to remember getting professional interstate backloading removalists to do the job. Firstly, because they know how to handle all types of furniture goods, secondly because they know how to transport those goods long distances. They do this by following a pack, wrap and stack policy. Our interstate backloading removalists understand how daunting a long-distance move can feel. 18 years of interstate backloading removals have made our services a guaranteed affordable solution for moving home or office long distance. The Backloading Company understand the logistics of moving large and small loads long distances. We own all our trucks and they include 4 B-Doubles with the capacity of 160 cubic meters. 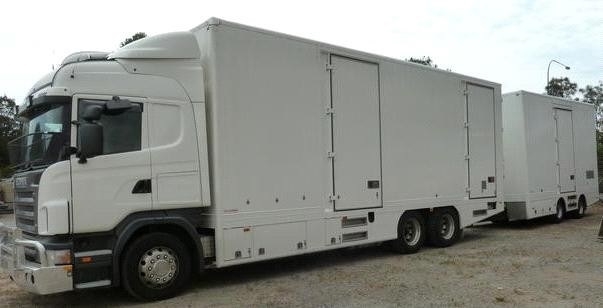 1 Semi with the capacity of 100 cubic meters. 2 Rigids both allowing 65 cubic meters of space for transit. Two local trucks, one with 40 cube capacity and the other 45. The Backloading Company provide all round interstate moving services to and from Adelaide. That means backloads from all major towns and cities around Australia back to Adelaide in South Australia. Get all your Adelaide interstate backloading removal services with an interstate backload either to or from Adelaide. Specialising in furniture moving services in South Australia and beyond! 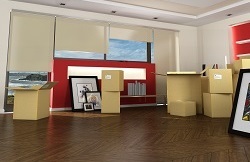 Backloading is a common phrase used by removalists to describe an inexpensive removal alternative. It helps removalists provide a cost-effective removal service for home and companies furniture and goods. Backloading generally takes a little longer than a traditional removal. Time frames for backloads vary depending on pickup and delivery locations. Interstate backloading removals may not be an ideal choice if you are moving from one suburb to another, but it is an affordable interstate moving service if you need to move long distance, making interstate backloading removals affordable and reliable. The Backloading Company cover most of Australia with a fleet of trucks always traveling through major cities and towns. Our backloading removalists will wrap, pack and stack your goods. Our backloading removalists are trained to secure your goods for a safe and secure transportation of goods. To inquire about our backloading services you can either contact us directly on the number provided on the website or submit a quote request through the “Quote Now” button at the top of this page. It’s always a clever idea to inquire early to ensure we can secure your preferred moving dates for you. The Backloading Company are here to provide a quality interstate moving service for home or office furniture and goods. There are many desired moving locations. Find some of them by following the link below. 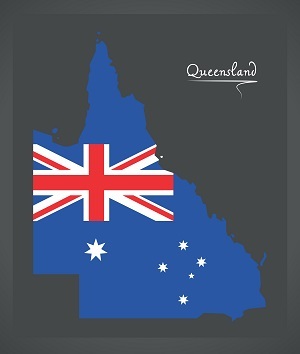 In the state of Queensland, we will provide backloading services to and from, Brisbane, Gold Coast, Townsville, Thuringowa, Cairns, Toowoomba, Rockhampton, Mackay, Bundaberg, Hervey Bay, Gladstone, Maryborough, Mount Isa, Bongaree, Nambour, Warwick, Yeppoon, Gympie, Emerald, Dalby, Bowen, Innisfail, Ayr, Charters Towers, Kingaroy, Mareeba, Moranbah, Roma, Atherton, Port Douglas, Deeragun, Goondiwindi, Biloela, Bargara, Gatton, Blackwater, Ingham, Jimboomba, Gracemere, Beaudesert, Bellbowrie, Stanthorpe, Airlie Beach, Cannonvale, Russell, Macleay Islands, Longreach, Tannum Sands, Highfields, Gordonvale. 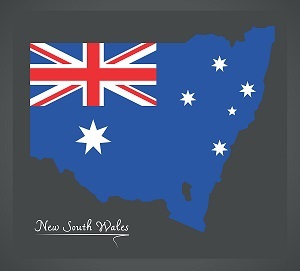 In the state of New South Wales, we will provide backloading services to and from, Sydney, Newcastle, Central Coast, Wollongong, Maitland, Tweed Heads, Wagga Wagga, Albury, Port Macquarie, Tamworth, Orange, Dubbo, Queanbeyan, Lismore, Bathurst, Coffs Harbour, Richmond, Windsor, Bomaderry, Nowra, Goulburn, Armidale, Broken Hill, Wentworth Falls, Katoomba, Forster, Tuncurry, Bellbird, Cessnock, Grafton, Taree, Ballina, Griffith, Sawtell, Singleton, Raymond Terrace, Weston, Kurri Kurri, Kiama, Lithgow, Bowral, Batemans Bay, Lawson, Hazelbrook, Muswellbrook, Parkes, Ulladulla, Inverell, Moree, Casino. 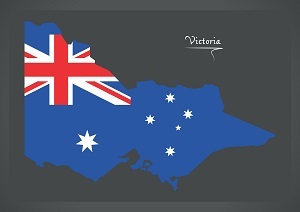 In the state of Victoria, we will provide backloading services to and from Melbourne, Geelong, Ballarat, Bendigo, Shepparton, Mooroopna, Melton, Mildura, Wodonga, Warrnambool, Sunbury, Traralgon, Wangaratta, Moe, Yallourn, Morwell, Horsham, Sale, Ocean Grove, Barwon Heads, Bacchus Marsh, Pakenham, Echuca, Bairnsdale, Warragul, Colac, Swan Hill, Portland, Lara, Hamilton, Benalla, Torquay, Maryborough, Clifton Springs, Healesville, Ararat, Castlemaine, Leopold, Seymour, Wonthaggi, Emerald, Stawell, Drouin, Kyabram, Lakes Entrance, Churchill, Cobram, Gisborne, Leongatha, Kyneton, Yarrawonga, Walla. 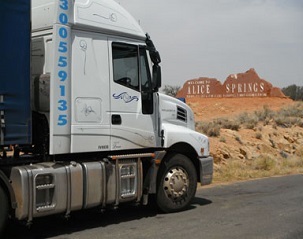 In the state of South Australia, we will provide backloading services to and from Adelaide, Mount Gambier, Whyalla, Gawler, Port Pirie, Bridgewater, Port Augusta, Murray Bridge, Port Lincoln, Mount Barker, Victor Harbor, Aldinga Beach, Naracoorte, Renmark, Millicent, Goolwa, Berri, Nuriootpa, Tanunda, Kadina, Roxby Downs, Loxton, Strathalbyn, Moonta, Clare, Nairne, Wallaroo, Coober Pedy, McLaren Vale, Ceduna, Bordertown, Kapunda, Mannum, Barmera, Angaston, Willunga, Hahndorf, Waikerie, Kingscote, Lobethal, Peterborough, Woodside, Port Elliot, Balaklava, Sellicks Beach, Kingston S.E, Tailem Bend, Jamestown, Williamstown. 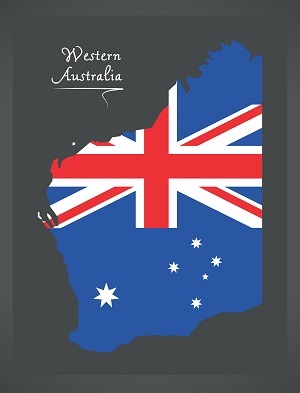 In the state of Western Australia, we will provide backloading services to and from Perth, Rockingham, Mandurah, Bunbury, Kalgoorlie, Boulder, Geraldton, Albany, Kwinana, Broome, Busselton, Port Hedland, Karratha, Esperance, Carnarvon, Collie, Northam, Golden Bay, Singleton, Kununurra, Narrogin, Manjimup, Margaret River, Derby, Katanning, Newman, Tom Price, Exmouth, Kambalda West, Merredin, Mundaring, Harvey, Denmark, Kalbarri, Byford, Dongara, Bridgetown, York, Yanchep, Pinjarra, Mount Helena, Waroona, Wickham, Moora, Mount Barker, Dunsborough, Donnybrook, Stoneville, Parkerville, Two Rocks, Fitzroy Crossing, Dampier. 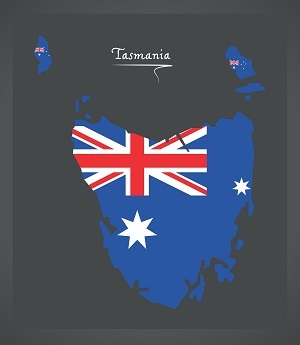 In the state of Tasmania, we will provide backloading services to and from Hobart, Launceston, Devonport, Burnie, Somerset, Blackmans Bay, Kingston, Ulverstone, Gagebrook, Bridgewater, New Norfolk, Wynyard, George Town, Sorell, Midway Point, Smithton, Penguin, Longford, Latrobe, Dodges Ferry, Lauderdale, Queenstown, Legana, Deloraine, Perth, Old Beach, Port Sorell, Scottsdale, Hadspen, St Helens, Stieglitz, Huonville, Ranelagh, Pontville, Bridport, Turners Beach, Westbury, Beauty Point, Rosebery, Seven Mile Beach, Evandale, Beaconsfield, Sheffield, Margate, Zeehan, Railton, Geeveston, Richmond, Cygnet, Snug, Currie. To get a backload cheap quote from The Backloading Company. Simply hit the Quote Now button. Fill out the form and we will process a free interstate backloading quote for you. Backloading is a typical expression utilized by removalists to depict an affordable moving service. So, what does it mean? All together for a moving organisation to expand their downtime and increment benefit, backloading is accessible for anyone moving interstate due to a truck that is coming back from an interstate trip returning to the depot with space available making it cheaper for you to move. On the off chance that you exploit backloading, you will pay for the space that your furniture and goods take up on a moving truck traveling in the direction of your move. Is backloading the right decision for you? The essential point to remember with any interstate backloading service is that you will possibly share the space on a moving truck with other customers. We specialise in interstate furniture backloading removals and will generally only handle furniture goods and necessities. On the off chance that you have no issue with your containers and furniture being stacked into a truck with another client's assets, at that point this is likely the best and minimum costly decision for your movement. On the off chance that you need an entire truck load of space for your home or office furniture goods. The Backloading Company can provide cost effective interstate moving service for this as well. Due to the need for us to fill the truck on the returning trip. While these alternatives are not as conservative, they will guarantee that you have the private utilization of a moving truck when you move. 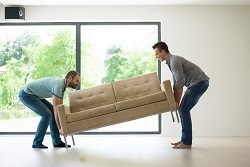 Our moving expert staff will explain to you that backloading does not imply that your things will get any less consideration or care than with an ordinary furniture expulsion benefit. We do understand that a backloading choice is perhaps not perfect for everyone but can be rather useful on the off chance that you have to move interstate and have a budget that you cannot exceed. Our best prices start at minimum of 3 cubic meters of space.